Tuesday to Saturday - from 6pm. The Courtyard Restaurant is located on the ground floor overlooking our beautiful internal courtyard and gardens. 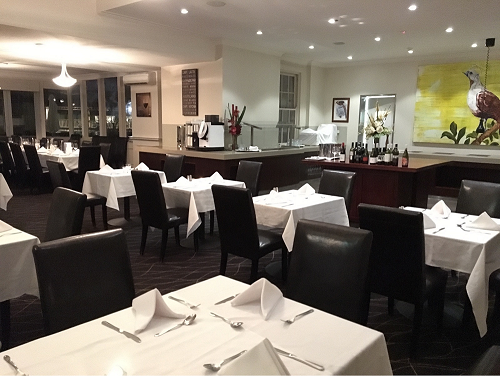 Offering a Modern Australian menu for dinner from Tuesday through to Saturday and a delicious Continental or Full Buffet Breakfast daily, The Courtyard Restaurant is sure to please one and all. Amazing dinner for our first anniversary. Had a gorgeous family dinner for my daughters birthday. Fabulous food... it was perfect! One of the best, if not the best, restaurant dinners we have had in a long time. We dine out at least twice a week. Well done! We had breakfast everyday of our 4 days - good selection and everything nicely presented. Always very good food and pleasant staff. Good range and value on kids menu. Restaurant was a a bit too warm. Our second excellent dinner at the Courtyard Restaurant. Thank you for all the effort to cater for a nut allergy. Very much appreciated. We would have preferred to have a choice to have just 1 course. An imaginative menu, with some unusual and delicious flavour combinations. Being an Accor club member makes eating at our hotel an easy choice. 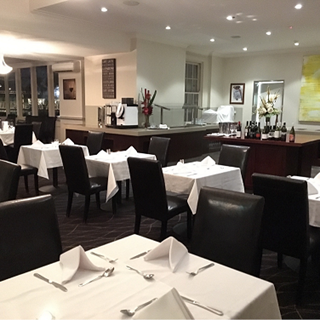 We had a lovely anniversary dinner at the courtyard while staying at the Mercure Canberra. They knew it was our anniversary and went to just the right amount of fuss to make it special without going so over the top to a point of spoiling it all. Quality of food and options available at the Seafood Buffet was excellent. Really enjoyed our night. Perhaps an additional staff member may be an asset. We were given a copy of the menu on check-in and upon reading, our mouths were watering. We weren't disappointed - the array of selections were amazing and our tastebuds were tantalised. Congratulations to the chef and team at the Courtyard Restaurant - a truly sensational gastronomic experience!!! The food and service was excellent and as good as you would expect in any hatted restaurant - well done Mercure and your great team! My family of 6 adults and I enjoyed the wonderful seafood buffet. My husband and I recenly moved to Canberra from Sydney and would rate this outstanding seafood buffet as good as any or better than any we had in Sydney. Loads of fresh and deliciously cooked seafood plus delicious fresh salads, cheese and totally decadent desserts. PLUS a glass of bubbles, wine or beer on arrival included. We were totally blown away with the whole night and will be booking for next month. Highly recommended. I dined there on Thursday night, in the middle of a 3 night stay. I need gluten free options, and was pleased to see several options on the menu. The polenta starter was exquisite, so fragrant with onions and mushrooms, so creamy on the tongue. I wish I could make it like that at home. Main course was chicken supreme, and one of the best I have had. Service from the staff was excellent. They displayed prompt attention, and when three tables declined the free bread due fo meeding gluten free, they came back with gluten free bread for all of us. My only criticism would be from a gluten free perspective. If the chef goes to the trouble to include GF plates, then they should also offer GF bread equivalent, baguette or similar, to that offered to other diners. There are three companies I know of who do frozen GF bread rolls, baguettes, Turkish bread, etc, for food service. Nonetheless  I will happily return here on my next Canberra trip. The food was excellent and FOH staff shone.